Action packed sic-fi based shooter game. Is there a better alternative to Darkside? Is Darkside really the best app in Arcade category? Will Darkside work good on macOS 10.13.4? Darkside ... For 200 years we have been mining our solar system's asteroid belt in peace. All that changed the day the Krainian Empire invaded our outer territories. Take the controls of the Arklight X-52 and take the fight back to the enemy! 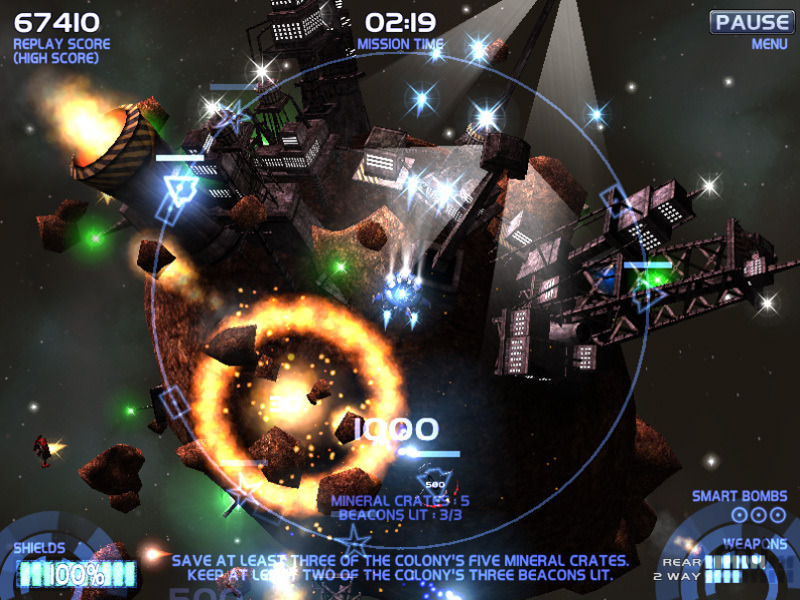 Darkside is a sci-fi based shoot'em'up in which you pilot your way around 100's of massive asteroids. Fly in and out of their dark sides as you battle a host of alien hostiles. Watch out for orbiting chunks of rock, blast them into oblivion before they destroy the mining colonies. Darkside is the action packed follow up to Arklight. Darkside needs a review. Be the first to review this app and get the discussion started! Darkside needs a rating. Be the first to rate this app and get the discussion started! 100's of fast paced levels packed with aliens. Three game modes, including a full-on arcade mode. Fly around massive asteroids in glorious 3D. Ten awesome power ups of mass destruction.